More than deserving of the name Classic! 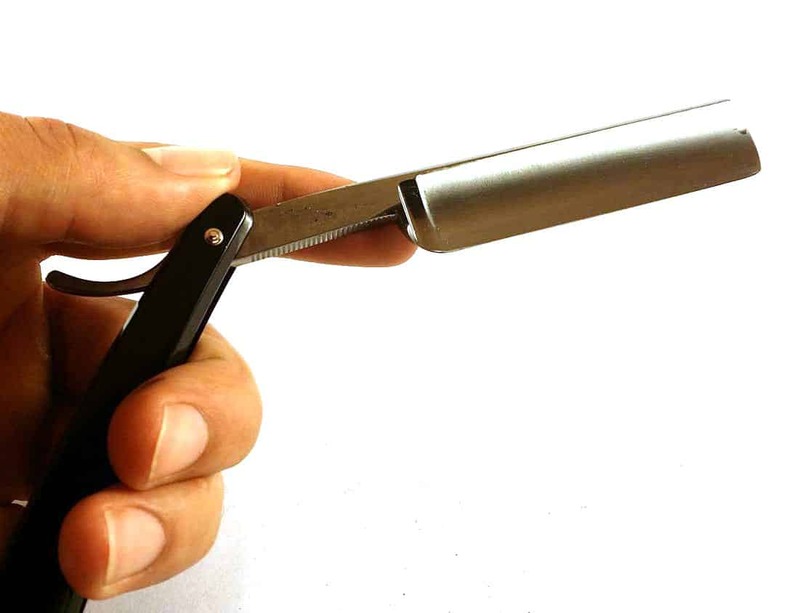 An excellent beginner's straight razor. We’ve previously discussed various aspects of shaving with a straight razor, including how to sharpen your razor and how to shave with it. Still, the first step in the process is finding a quality razor, so today I present to you my review of DOVO straight razors. Although the company produces a number of excellent razors, this DOVO straight razor review will focus on the DOVO Classic, as this is both the most affordable and most popular razor they produce. 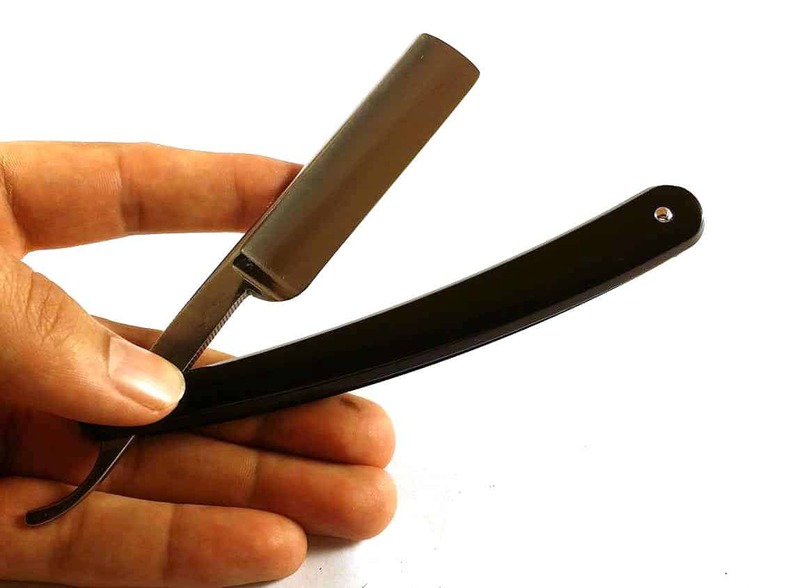 This makes the DOVO Classic an excellent option for beginners or anyone looking for a high quality straight razor that doesn’t cost an arm and a leg. I am so impressed with the DOVO Classic, especially in terms of its value, I put it at the top of my list of the best straight razors. 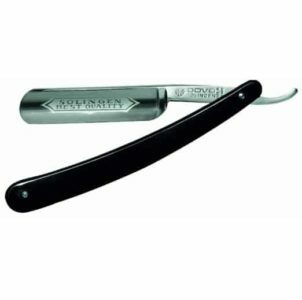 The DOVO Classic was the first straight razor I used and still one of my favorites, although I’ve since upgraded to a higher quality DOVO Diamant. While there are a number of other decent options out there, after reading this DOVO straight razor review, you should easily be able to see why it is the go-to straight razor of choice for so many men. The DOVO Classic is sold as “shave ready,” although we would definitely recommend a quick honing and stropping before you ever use it. Despite being shave ready, the blade will still not be as sharp as it could be when you first get it (although it will still get the job done). Of course, the main point here is not how sharp the razor is when it arrives, but how sharp it can be and how well it maintains that sharp edge. Compared to most other straight razors manufacturers, DOVO has a reputation for producing some of the best, sharpest razors on the market—mainly due to the quality of the steel they use. This particular razor is made of carbon steel, which allows it to maintain maximum hardness, elasticity and makes it more resistant to wear. However, carbon steel also requires much more maintenance to keep it in perfect condition, so if you’re looking for something that’s a bit easier to care for, you may want to consider a razor with a stainless steel blade such as the DOVO Encina. The DOVO Classic features a half hollow blade (for more info on hollows, see our article on the best straight razors), which makes it incredibly sharp, lightweight and easy to use. However, a half hollow blade is not nearly as sharp as a full hollow, so if you’re looking for something even sharper, you might want to check out the full hollow DOVO Gentleman. Just be aware that the full hollow blade increases the chances of cutting yourself, so we would only recommend it for experienced straight shavers. As with the sharpness, the fact that the DOVO Classic is made from carbon steel means it should last for a lifetime with proper care and maintenance. That being said, it is incredibly important that you fully wipe and dry the blade off after each use. In addition, it’s important that you don’t use or strop the razor for at least 24-48 hours after the last use, otherwise you risk breaking off the fin on the cutting edge. While shaving, the fin actually grows slightly and will then slowly settle back down into its original shape. However, if you use it before the fin has returned to normal, it is likely that you’ll ruin the cutting edge and need to have it taken to a specialist sharpener for repair before it can be used again. While the blade itself is excellent quality, some people do complain about the fact that it has plastic scales instead of wood or other materials. In my opinion, the plastic scales are perfectly fine (and part of the reason why this model is cheaper than many others). Still, if you’re looking for something that either looks nicer or feels better in your hand, DOVO also produces a number of slightly more expensive models with scales made from yew wood, bamboo, faux tortoise shell, olivewood and a variety of other materials. While no straight razor is technically easy to use at first, the DOVO Classic seems to be a bit more forgiving than other models. Part of this is the fact that the blade is only ground to a half hollow instead of a full hollow. However, the bigger reason that this is easier to use (and why we recommend it for beginners) is that it features a 5/8″ width blade instead of the larger 6/8″ or 7/8″ blades that come on other models. In simple terms, the smaller the blade, the easier it will be to use. Still, many experienced straight razor shavers prefer the convenience of a larger blade, in which case I’d recommend something like 6/8″ DOVO 506B carbon steel or the Encina or Master’s, which both feature stainless steel blades. Another reason why we recommend this product is that it features rounded point that makes is much more forgiving than those with a straight point. While straight points are actually a bit easier for precise trimming, we feel the risk is not worth the reward unless you already know exactly what you’re doing. At the risk of making this DOVO straight razor review sound overly positive, we honestly like virtually everything about this product. Hands down, we believe it is one of the best straight razors on the market by far, and one of the main reasons for this is the price. While many quality straight razors cost upwards of $200 or more, the DOVO Classic normally sells for around $120, which is actually quite cheap for a straight razor. Of course, there are cheaper products on the market, but in truth we wouldn’t recommend purchasing anything that costs less than $100, as you definitely get what you pay for. After reading through this DOVO straight razor review, you can probably tell that I and the rest of the Prim & Prep staff are huge fans. While there are also a number of excellent manufacturers out there, such as Böker, Thiers-Issard and Hart, we still feel that the DOVO Classic is both the best all-around straight razor and the best for beginners. It really is the perfect combination of high quality steel, solid construction and style—what more could you want? Don’t just take our word for it, check out the over a hundred other glowing user reviews here. Still unsure on what type of razor you want to use? Be sure to check out our comparisons: safety razor vs straight razor and shavette vs straight razor.